I recently did a review on here on the Honeybee Gardens Pressed Mineral Powder Foundation and Honeybee Gardens was nice enough to team up with me to give away one of their Pressed Powder Foundations along with an empty compact!! The winner will be able to pick their own shade of choice. This is my first ever give away and I am really excited to be giving away this powder foundation because it is my new staple! I use it every day and love it. Giveaway starts now and ends on September 12th at 8 p.m.
You must be following my blog (via email, bloglovin, etc) in order to qualify to win. You must either leave me a comment on this blog post or “Like” my Facebook page and leave a comment on my wall letting me know what ONE makeup item you could not live without. Wherever you choose to leave your answer is fine! That’s it!!! It’s really easy! 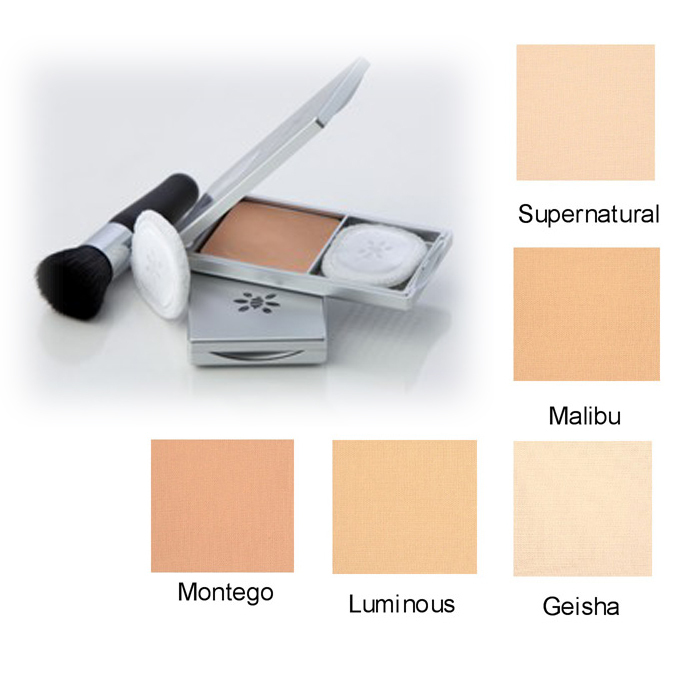 I will pick the winner randomly and announce it on September 13th on my blog and will ask for your mailing address and foundation color of choice (all shades listed here) which I will send along to Honeybee Gardens and they will send out the free Pressed Mineral Powder Foundation to you! **Thank you so much to everyone who tried out for my first ever giveaway!!! The winner is Caitie of Naturalla Beauty ! Congrats and please let me know how you enjoy the product! I definitely cannot live without eyebrow pressed powder/palettes. The day that I first filled my eyebrows in properly was the day that I realised how beautiful makeup can be by focusing on the simple things. Eyebrows perfectly frame your face, draw attention to each person’s facial structure, and compliments any look from natural to cocktail night. I can’t live without my eyebrow pressed powder! I can not live without my Tarte Amazonian clay foundation! It is hands down the best foundation I have ever used in my life. It feels so silky smooth and never leaves me shiny or feeling icky. It’s like having naturally perfect skin. And all my pimple have cleared since I started using it. LOVE it LOVE it LOVE it! Of course Britanie is the one who recommended it to me. She knows best! One product I couldn’t live without is foundation! I wear it every day and won’t leave the house without it! Lip gloss is a close second. I follow you on bloglovin as connymoore(at)hotmail(dot)com / once upon a time 4 me. I like you FB page as Constanza Oller de Moore. There is 2 items I cannot live with out mascara and lip gloss. I follow you via WordPress. My go to item is my favorite Mac lipstick naked Paris. Ahhh tough decision. It’s a toss up between a brow pencil or face powder. Depends on whether it’s a good/bad day for my face or for my brows lol. This is really tough!! I guess I’d have to say my powder blush by Urban Decay in ‘Quickie’. I love this shade! It’s such a pretty pink color that leaves my cheeks with that fresh just-pinched cheeks color. It also has a little bit of a shimmer to it, which I absolutely love! This is really tough!! I guess I’d have to say my powder blush by Urban Decay in ’Quickie’. I love this shade! It’s such a pretty pink color that leaves my cheeks with that fresh just-pinched cheeks color. It also has a little bit of a shimmer to it, which I absolutely love!